Nikhil Thampi is an established fashion designer who is known for making heads turn on the red carpet with his evening glamour wear looks. He is one of the new age trendsetter designers. Nikhil Thampi is a psychology graduate who decided to satisfy his ‘creative itch’ and headed into a successful career in the Indian fashion industry. “It’s not about feeling the fabric, but fabricating one’s feelings,” he says. happy new year video songs downloadHe is a recipient of the ‘Forbes 30 under 30 and HT Most stylist Award 2017’ and has been awarded the Certificate of Excellence for Red Carpet Glamour as part of the Elle Graduates- Class of 2013. His designs are frequently featured on the cover pages of top fashion magazines like Harper Bazar, Elle, Femina and Vogue. His illustrious clientele includes a host of A-lister Bollywood ladies comprising Sonam Kapoor, Alia Bhatt, Esha Gupta, Sushmita Sen, Kangana Ranaut, Sonakshi Sinha, Kalki Kocheilin, Deepika Padukone, Anushka Sharma, Kajol, Vidya Balan, Neha Dhupia, Nargis Fakhri, among others. There’s another side to this extremely creative person – his love for dogs. “I have always been around pets since my childhood. My first pet was a cat, to be honest, andtruth questions then I fell in love with dogs! Since then, I have been blessed with nine dogs in my life,” shares Nikhil. 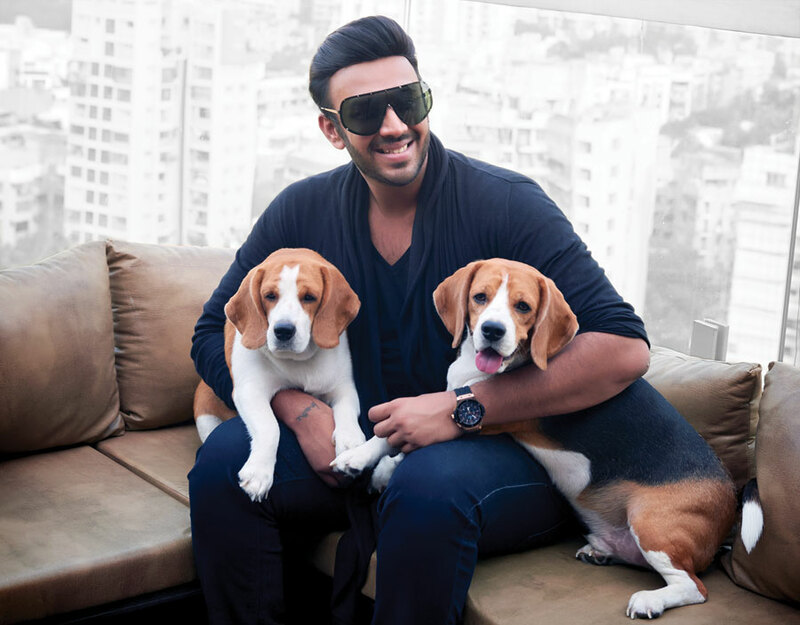 Currently, Nikhil spends his life with two dogs – Carra and Noah, both Beagles. So, has there been any favourite of Nikhil among them? “I grew up with a Spitz and a Pomeranian-Lhasa mix. So, definitely they are very close to my heart. But, all my dogs had a special role to play in my life,” he says. “I think it was during the monsoon, on 26th July 2005, when Bombay was heavily flooded. I was stuck on my way back. Before I left home that day, my dogs were constantly barking outside my room and kept crying as they could sense that something wrong was going to happen that day. This incident was very touching to my heart,” he tells. Every dog has his own way of stealing his pet parent’s heart and for Nikhil is the fact that Carra and Noah cannot sleep without him in the night. “Since I have a busy schedule and am at the workshop during the day-time, I try to spend my evenings with them, at least two hours every day. I tend to spoil them a lot, probably a drive in the night or a cup of ice cream; I know ice creams are not good for them, but once in a while, it’s okay as rules are supposed to be broken,” he laughs. “It is an amazing feeling that when I come back home, two souls (Carra & Noah) are always waiting for me to shower all the love without any expectations; it is the best feeling in the world!” he shares. “The fact that I am their provider, they know that very well and hence they play to their advantage,” he says as a matter of fact. “I have a holiday home in Lonavala. We always take them there as it has an open ground around, a manmade lake where they can swim and have fun. We also have two dogs there, which is all the more exciting for them,” tells Nikhil. Only a pet parent knows what suits best for his pets. “I am blessed with a great domestic help who understands dogs’ requirements. We pamper them a lot but also take good care at the same time,” he adds. “It is important for pet parents to spend considerable amount of time with them. When it comes to emotional requirement, they need your time the most. When it comes to grooming, keep their paws and ears very clean. Feed them at equal intervals and keep them very well exercised,” advises Nikhil. Choosing a pawfect pet resort Kuttush still in my mind!